I decided this year friends and coworkers would receive shooting related gifts despite their position on guns. I wanted them to all have something that reminds them of me, so after a bit of pondering it occurred to me most are drinkers of some form of alcohol. After a bit of browsing on Amazon I happened across Lucky Shot USA and their line of bullet embedded glasses. 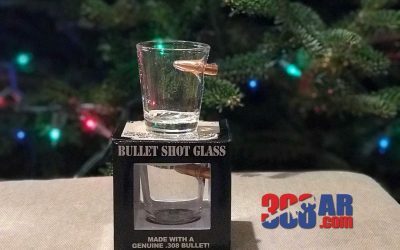 When I saw that many of the glasses featured 308 bullets I knew I had found the right gifts. They practically say 308 AR on them :). Anyhow my first purchase and the subject of this post is the .308 Bullet Shot Glasses. I bought a set of two shot glasses for my boss at the day job. 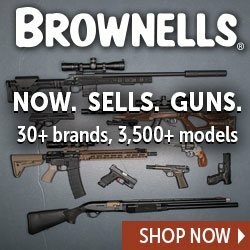 Modular Driven Technologies aka “MDT” is well know for being a leader on bolt action rifle chassis particularly their TAC21. 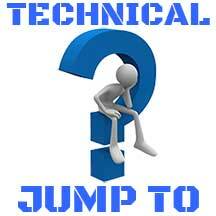 MDT is also the rifle chassis provider for Brownells, Winchester, Weatherby and Mossberg to name a few. 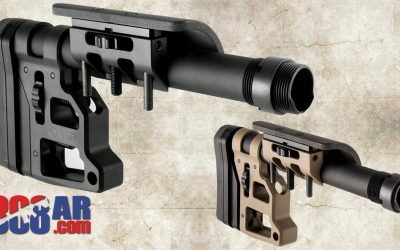 Many shooters may not realize that MDT also offers a skeletonized carbine stock that with proper buffer system hardware can also be used with the AR-15, AR-10 and 308 AR rifles (See the chart below). 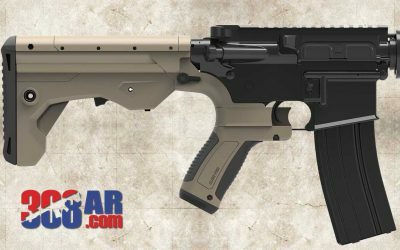 The MDT “SCS” is a great Magpul PRS alternative. The VG6 Gamma 65 hybrid muzzle brake and compensator was designed with precision techniques to eliminate recoil and dramatically lessen rifle movement. The Gamma 65 has been machined for the user with optimal performance in mind. The VG6 Gamma 65 features both breaking and compensating to inspire confidence and allow faster follow up shots. 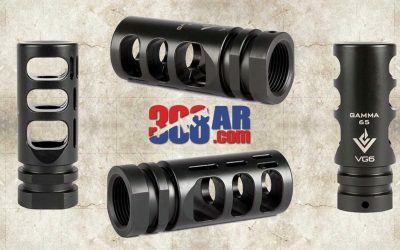 The perfect muzzle brake for your next 6.5 Creedmoor chambered 308 AR or AR-10. 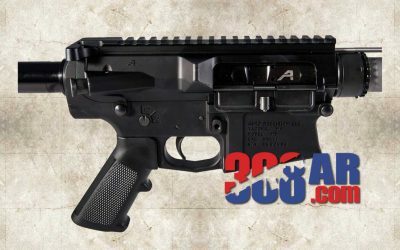 The Aero Precision 6.5CM OEM Rifle is a great way to get in to a 308 AR at a caliber other than .308 Winchester. The other caliber is the incredibly accurate 6.5 Creedmoor. 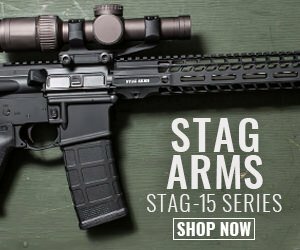 If your unfamiliar with the 6.5 Creedmoor it’s gained a lot of press as an option for the United States Military as an option for a platform capable of longer range accuracy than the .308.. 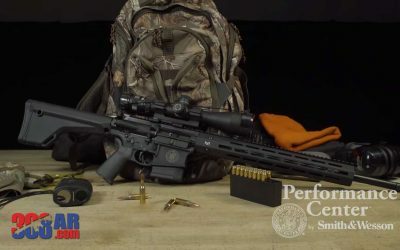 Available only from Brownells the AERO PRECISION 6.5 CREEDMOOR AR 22″ OEM RIFLE is nearly-complete rifle and comes fully assembled, just waiting for you to add a free-float handguard, sighting system, and a buttstock that fits a mil-spec carbine receiver extension. 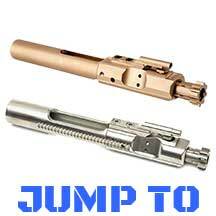 Install them and head to the range! The Eliminator III provides expert shooters with a level of sophistication only imaginable before now. With its X96 reticle technology, the Eliminator III provides even more accuracy, more range and a method of windage compensation at any magnification. 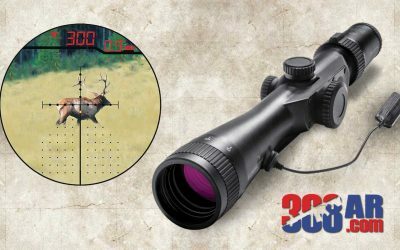 The Eliminator II incorporates the X38 reticle providing accuracy at any magnification. 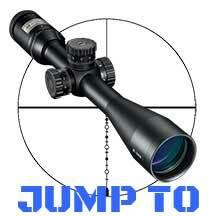 The BURRIS ELIMINATOR III 4-16×50 LASERSCOPE is the most innovative and effective hunting riflescope in the world. Combining outstanding optics, pinpoint laser rangefinding, and precision trajectory compensation for the exact ammunition you choose for your hunt, it eliminates most of the variables and guesswork that often cause hunters to go home empty-handed. In one fast sequence the Eliminator III determines the distance to your target, factors in your trajectory and illuminates the perfect holdover. It’s that simple. Built-In Laser Rangefinder – Laser range capability out to1,200-plus yards with reflective target, 750-plus yards with non-reflective target. 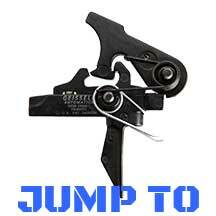 Allows you to range your target without carrying additional equipment. New model with remote cable switch makes ranging activation even easier. 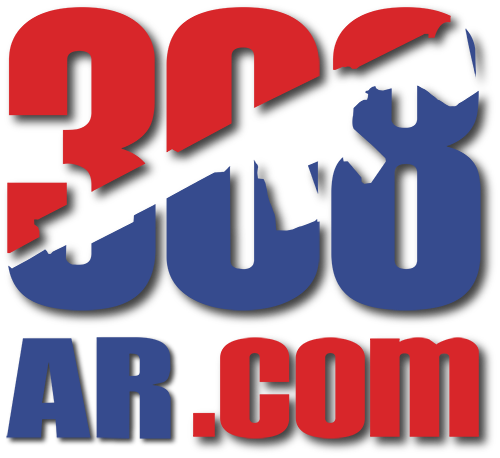 So you have DPMS pattern 308 AR chambered in .308 Winchester and your bored with it, want something different or want the utmost accuracy at ranges beyond .308 Winchesters capabilities. 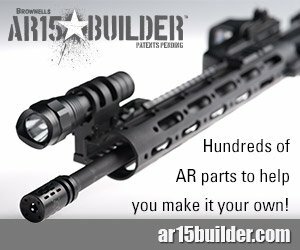 Well Aero precision has just what you need in their M5E1 6.5 Creedmoor Assembled Upper Receivers. 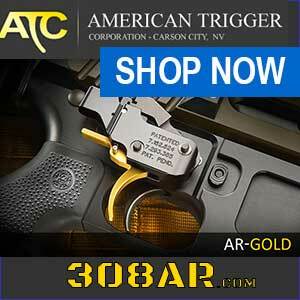 These receivers fit most 308AR’s that follow the DPMS pattern. 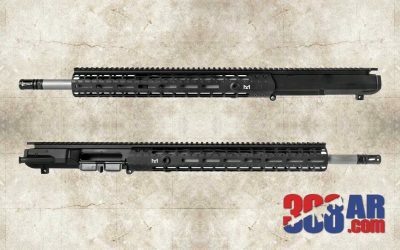 The Aero Precision M5E1 uppers are a very slick design that eliminates a barrel nut by implementing a proprietary upper receiver and handguard system. The 6.5 Creedmoor chambered upper are available in 16″, 18″, 20″ and 22″ barrel lengths. Quote from Criterion Barrels “We typically don’t like to get political here at Criterion Barrels Inc., but as of late there have been some concerning legislative proposals that need to be immediately addressed. 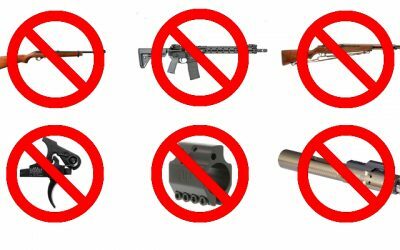 If you like firearms and possess a semiautomatic rifle, then this piece of proposed legislation involves you directly. 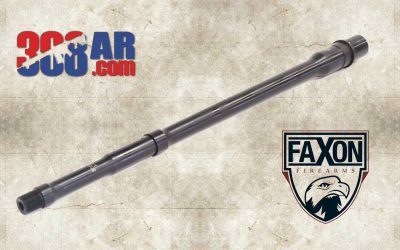 The FAXON FIREARMS BIG GUNNER PROFILE 308 AR BARREL is a marriage of Faxon’s Government and Pencil profiles that gives balance of manageable weight and high accuracy potential. 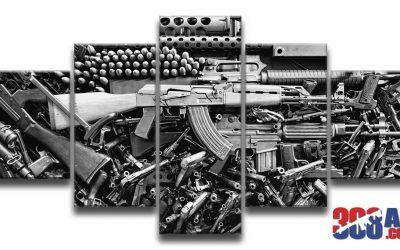 It has the Government taper from the barrel extension to the gas block, then transitions to a Pencil profile from the block to the muzzle. Keeping weight at the rear maximizes rigidity and resistance to heat distortion, while removing it up front moves the center of gravity to the rear, keeping your “308 AR” nicely maneuverable. The NIKON BLACK X1000 6x14x50SF is part of a new line of mid-level priced Nikon riflescopes geared towards AR-15, 308 AR and Precision Rifle Shooters. 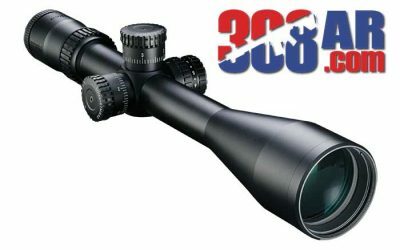 When I saw the Nikon M-308 series 308 AR scopes going out of stock at the usual big name sources I had a suspicion there were new Nikon scopes on the horizon. The scope market is very competitive especially in the $399-$699 price range so it’s no big surprise I was right. Recently the Nikon Black X1000 Riflescopes became available for purchase. Nikon appears to be marketing their Black1000 scopes and Nikon Black scope mounts towards the “MSR” rifle shooter. The Nikon Black X1000 appear to be priced about $150 less expensive than the Vortex PST Gen II. This is a smart move in my opinion. Nikon also seems to be touting their warranty. Again Nikon is clearly targeting Vortex. 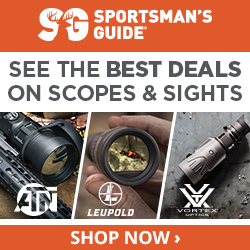 These new Nikon scopes should be well received by 308 AR, AR-10 and AR308 shooters looking for affordable scopes.